Originally recorded as a series of roughly-recorded duets in short 15-minute sessions at the end of the recording sessions for Jim’s “Thumbnail Sketches” solo album, these tracks were developed several years later when Blair Cunningham added drums and completed several years after that when John McKenzie added his bass lines! Starting off with a selection of original improvised bluesy compositions, the album extends musical boundaries with the two most musically experimental tracks, ‘Demon Dance’ (with a guest appearance from Karl Rasheed-Abel on double bass) and ‘Summertime’ (with overdubbed pedal harp played by Mike to add ‘atmospherics’). Charlie Mingus’s tribute to Lester Young, ‘Goodbye Pork Pie Hat’, gets an extended workout before a return to a more conventional approach on the standards ‘You’re My Thrill’ and ‘Stella By Starlight’. 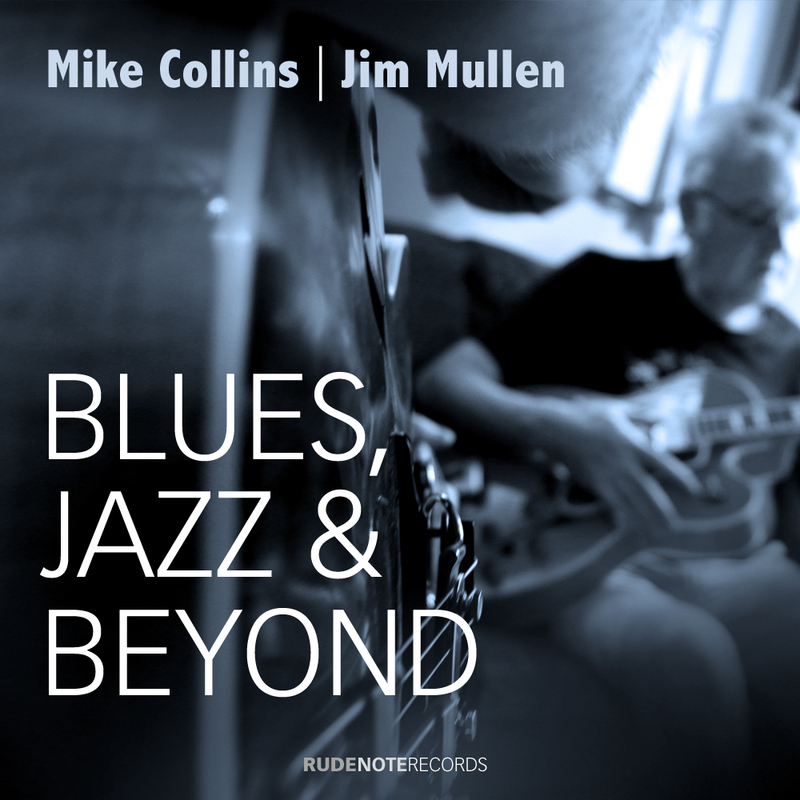 The album finishes up with ‘rocking’ versions of Miles Davis’s ‘All Blues’ and Bobby Timmons’s ‘Moanin” – driven along by Blair Cunningham’s powerful drumming and John McKenzie’s lively bass lines. Jim played his Aria Pro II full-bodied jazz guitar – using the neck pickup set to a mellow tone. I played various guitars including a Gibson L5 made in the 1940’s for the 5 blues pieces, a 60’s Epiphone Texan for tracks 6 – 10, and I used a 1950’s Epiphone Deluxe guitar that had two Gibson-style small humbucker pickups for the last two tracks. Jim mostly played through my mid-70s Ampeg VT22 2 x 12 guitar combo amplifier, although he used my early-60s black-faced Fender Vibrolux Reverb 2 x 10 combo amplifier on a few selections. On “All Blues” and “Moanin'” I used the Ampeg VT22 and Jim used the Vibrolux Reverb as I recall. On some of the recordings, such as “Blues for Jacko” and “She Makes Me Wait”, to record Jim’s guitar I placed one microphone a couple of inches from the speaker cabinet, using a Shure Unidyne III or an AKG C414, and positioned an AKG C12 VR or a C414 microphone about 12 inches away from the front of the guitar to catch some of the acoustic and room sound. On others, I just used one of these microphones in front of the speaker. To record my acoustic guitars, I normally used an AKG C414. The microphones were recorded via a Yamaha 02R digital mixer to the left and right channels of a Studer D780 DAT recorder. Later I transferred these recordings to Pro Tools to balance the two channels and add EQ, compression and reverb. I recorded the drums directly into Pro Tools with some microphones using the built-in pre-amps on the Yamaha DM 1000 mixer that had replaced the 02R by this time, and with some of the microphones going through either a Joe Meek Twin QCS dual mic pre or a Focusrite Red 8 dual mic pre. I typically recorded the bass directly into Pro Tools through a Peterson StroboStomp tuner/DI. This might be off topic, however, Currently I have been in a huge jazz mood. I have a great deal of jazz songs and I have a jazz playlist heading, but can people give me some further suggestions? Artists, tunes or full albums are appreciated!